So, unfortunately I’ve lapsed a few weeks on the beer reviews. Travel, the holidays, and whatnot… I’ve been drinking good beer, but haven’t had the time to review good beer. Gose is named after the river Gose, which flows near Goslar, Germany, where the style was invented and first popularized. The style possibly dates back 1000 years, becoming popularized in “nearby” Leipzig, which became known as the home of Gose. It’s not brewed within the Reinheitsgebot due to the addition of coriander, it is a tart wheat ale, with notes of salt (originally supposed to be due to the salty water near the mines of Goslar) and coriander. A possible way to think of the beer would be a cross between a Berliner Weisse and a Witbier, with a hint of salt thrown in. To me, it’s just delicious. A good Gose is a delicate beer, where the interplay between tartness, salinity, and the malt and spice is all perfectly balanced. It shouldn’t be puckeringly-sour. It shouldn’t really taste salty, but you should be able to detect the slick salinity on the tongue. And the coriander, of course, shouldn’t take center stage lest you mistake it for a Wit. Gose is low in alcohol, generally assumed to come roughly into the 4.5% ABV range. Given that this is not a popular style, I’m not going to offer the typical BJCP-style tasting notes. Instead, I’d much rather just give broader impressions. Gose is a wide-open playground. 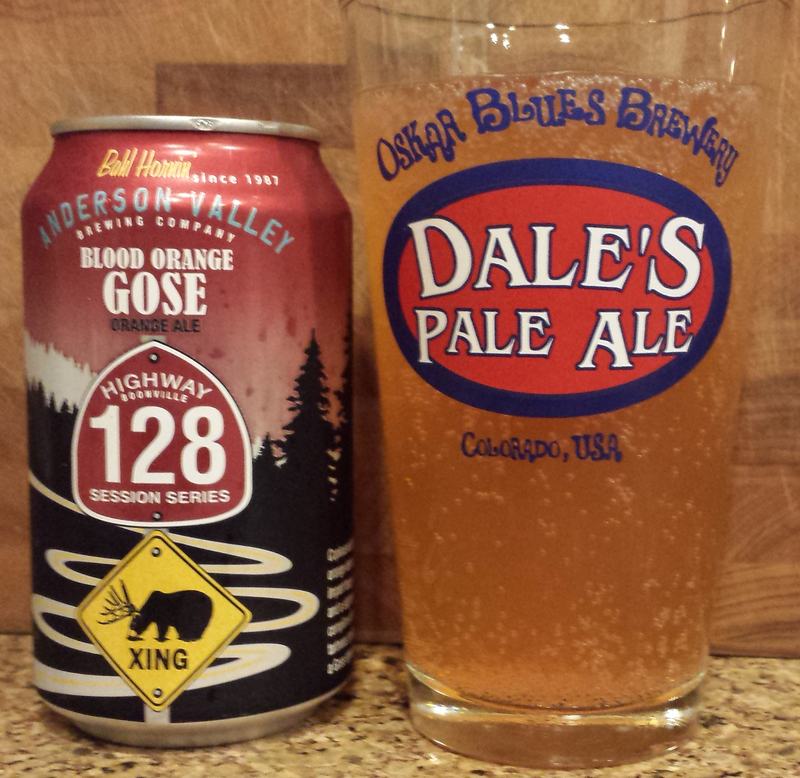 Anderson Valley previously released a Gose that to me did not strike the right balance. They allowed the tartness to dominate, and in such a low-alcohol beer as a Gose, nothing else seemed to come through. It was far more Berliner Weisse than Gose. Today’s beer is the same Gose, but with some blood orange thrown in for a citrus kick. I still don’t pick up coriander at all, and the hint of salinity that I am detecting is just faint at best, but I think the fruit rounds this one out much more nicely. Whereas the first Anderson Valley Gose was a one-note sour-bomb, this Gose much better fits the mold of a delicate interplay between uncommon combinations of ingredients. This beer has depth. This citrus note of the fruit contributes to the sourness of the beer, but it does so with harmony rather than with volume. This is a beer that I could definitely sit down and spend some time with. On a hot summer day (or a warm SoCal winter day), hanging out in the sun watching the world go by, this is exactly the sort of beer that I’d love to be drinking. And at only 4.2% ABV, this can definitely be a “day drinking” beer. Is this the best or most representative Gose I’ve had? No, certainly not. For that, try the Ritterguts Gose. But if you just want a delicious beer to while away a few hours in the sun, this just might be what you’re looking for.